China’s credits to various countries along its much-discussed Belt and Road Initiative (BRI), the most ambitious infrastructure undertaking in history, have recently been criticized for drawing poor countries into a debt trap by extending huge credits. Myanmar is often cited, as well as Sri Lanka. Malaysia and Pakistan are renegotiating multi-billion-dollar projects of previous regimes. What is not widely being examined however, is whether there is a danger that the China economy itself is vulnerable to a far larger debt trap, one that could spell trouble for the BRI project itself as well as for the unprecedented four decades of booming China economic growth. Could it be that debt is becoming China’s Achilles Heel? By the beginning of 2018, after repeated efforts to rein in the exploding shadow banking, the size of shadow banking had risen to an alarming $15 trillion. 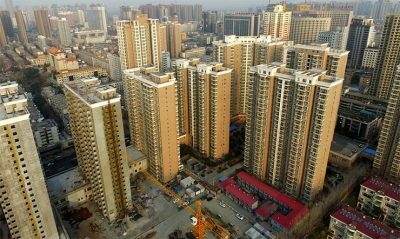 At least $3.8 trillion of that was in the form of so-called trust funds that drew savings from ordinary Chinese citizens to invest in local government projects or in housing construction. Much of that was tied to the huge state-owned banks but in the form of investment vehicles that were off-balance sheet.